Sleek new-look shape with some additional new features. 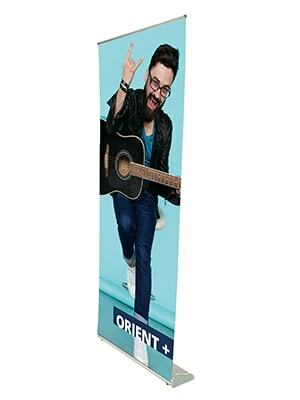 A quality lightweight roller banner with a slim base and hybrid pole making it very compact, complete with a twist out foot for extra stability. 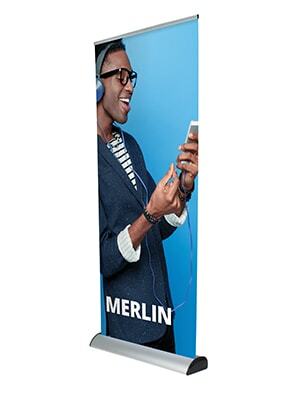 Merlin is a smart stylish cassette banner where the graphics are very easy to replace with its quick change cassette mechanism. 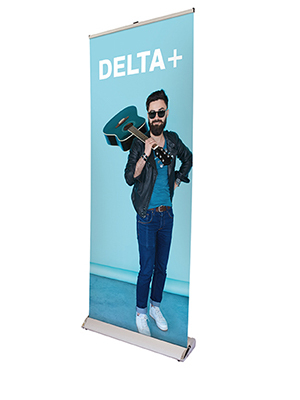 Sleek and stylish, Delta+ promotes itself with its executive design. 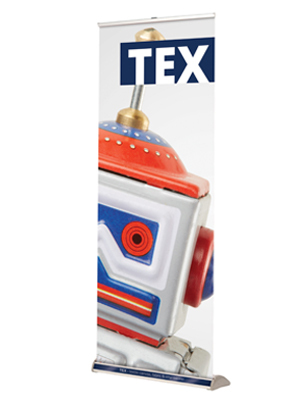 Tex is a specially designed roller banner that will accept textile and vinyl medias. Clever snap rail and snap roller graphic attachments make this product fast and simple to assemble and allows for quick and easy graphic changes. 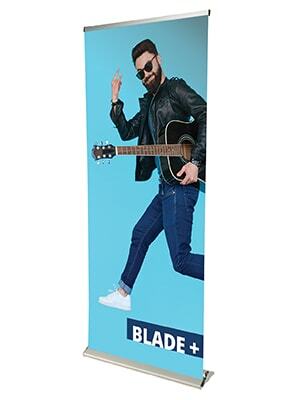 Stylish and sleek the Blade+ has a polished low profile design and smart exterior making it perfect for presentations or exhibitions where the banner will be visible. 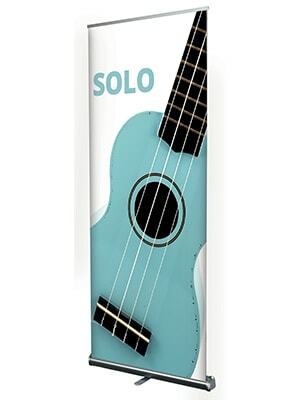 The Solo banner is a compact roller banner oozing with style. Attractive chrome end caps encase the sleek aluminium case. 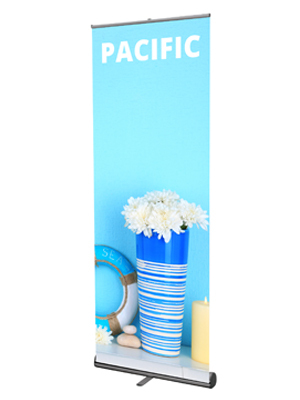 You can be confident this banner will be stable with its single twist out foot and stabilising feet at either end. 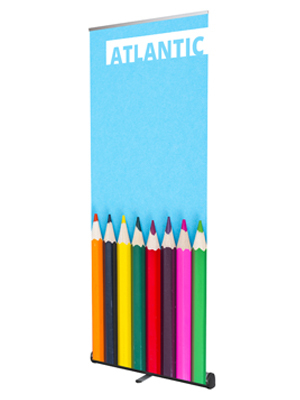 The Atlantic Roller banner is a low profile yet stylish roller banner, ideal for promoting that sleek impression.